NEW: Tuition Billing & Payments Solution Now Available! A New and Improved MC is Coming Soon! 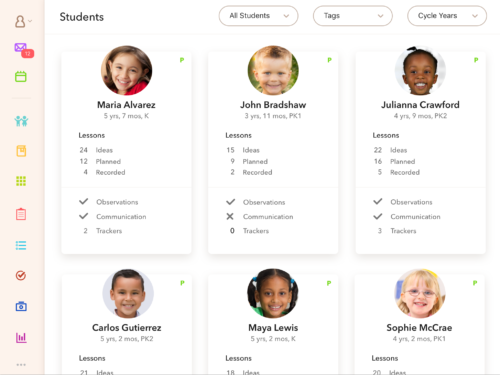 The MC team is thrilled to announce that a new and improved Montessori Compass is on the way! We’ve listened to feedback from Montessorians all over the world and are working hard to make MC better than ever. Starting with a shiny new look and a more streamlined work flow, the entire system is being upgraded from top to bottom. Schools presently using MC will continue to use the current system for the next few weeks and will be notified when the transition is ready to take place. During this interim period, free trials will be temporarily disabled (as we would much rather you get started using the new system.) We look forward to launching the upgrade and to hearing your feedback! Thank you 2019 AMS Conference Attendees! Introducing the new and improved MC Calendar! Thank you 2018 AMS Conference Attendees! Copyright © 2018 Montessori Compass – All Rights Reserved.